The University of Memphis is open Monday through Friday, 8:00 am until 4:30 pm. University closings can be found at memphis.edu/hr/holidays.php. Registrations are processed Monday through Friday, 8:30 am until 4:00 pm. Accommodations will be made for students with disabilities. Please call 901.678.6000 at least two weeks in advance of your class to make arrangements for accommodations. Classes with insufficient enrollment may be canceled and students notified before the first class meeting. Since contacts must be made during the day, please supply your daytime phone number or one where a message may be left for you. In case of inclement weather, if the University is closed, our classes will not be held. Students will not be notified. Duplicate CEU certificates are available for a $10 fee. Download the form here. Allow five business days for processing. Please note time restrictions do apply. Customers may obtain transcripts for some non-credit courses taken and CEU and/or CPE credits earned. These are available for up to five years after the end of the course. Please complete the required form and submit it to our office. There is no charge for transcripts. Allow five business days for processing. Gain additional education for re-licensing and certification. 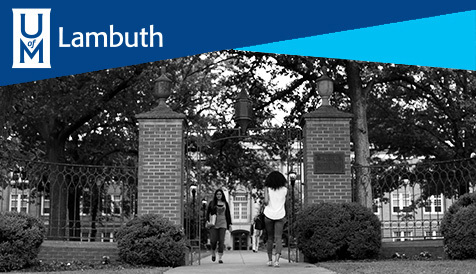 Your Source for Personalized online resources at the University of Memphis! Thank you for choosing to support the University of Memphis!